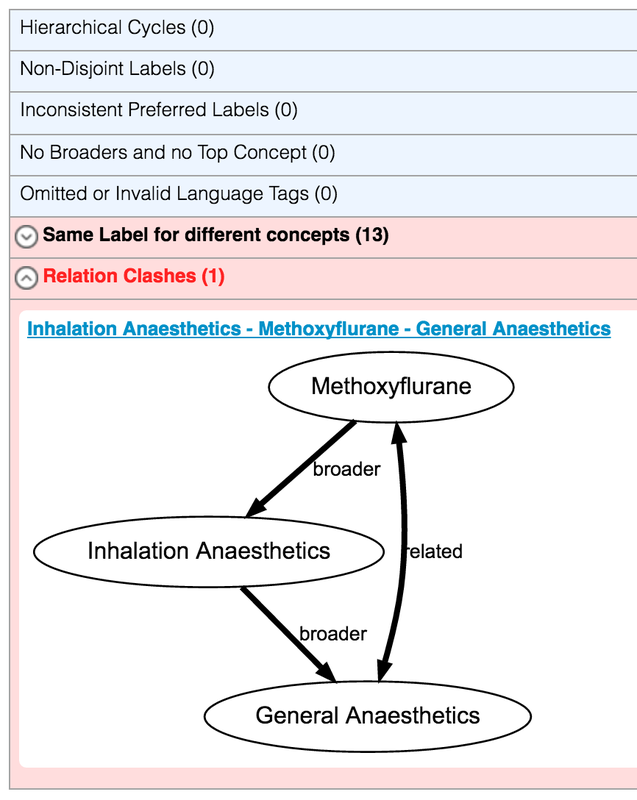 Create and maintain consistent taxonomies and knowledge models. Consistency: definable checks are run in the background to keep taxonomies consistent. Different types of issues are checked: structural issues, labeling and documentation issues, and SKOS semi-formal consistency issues. Quality reports: create your own quality reports to receive an overview over all known issues. Performance: even the largest taxonomies and knowledge graphs get checked with high performance thanks to the built-in SPARQL rules engine.